The legendary Jack Schmitt is back, and in a big way. 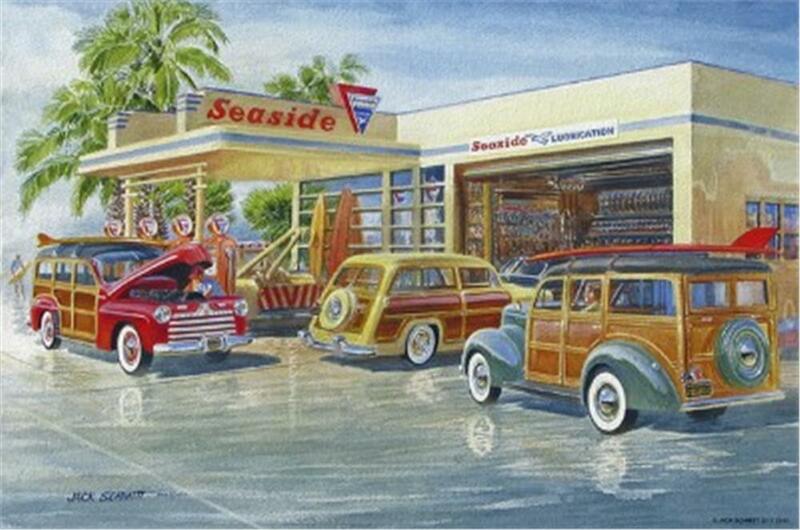 You're sure to recognize the classic scenes of American cars in their natural settings created by the renowned artist and former Ford Motor Company designer. Tin signs feature full-color graphic displays of street rods, hot rods, muscle cars and American classics. Measures 11" x 17"